Animated Films Making a Splash at Film Festivals this Year! With tons of Film Festivals that have either just passed, are currently going on, or are about to happen, we wanted to take a look at the animation going on within the festivals to see which films/shorts were creating a buzz! Below are a few films that have taken notice with critics. PERCHED premiered at this years Animated Arizona Film Festival. The film follows an old man who is happily content with his secluded life in a submarine until he begins receiving regular visits from a seagull. The award winning film has been applauded for its hand drawn animations. Cable Hardin's WHITE OUT has been creating quite the buzz within the film circuit. The stop motion short follows a lone pilot which is faced with isolation on a dark and cold world. This project, made possible by grants from the South Dakota Arts Council and South Dakota State University, was created in 2015. THE MICE WAR, a children's animated musical will be premiering at this years Newport Beach Film festival on April 22nd. The film has already generated buzz with its grammy nominated composer and writer David Chesky and Broadway preforming cast. 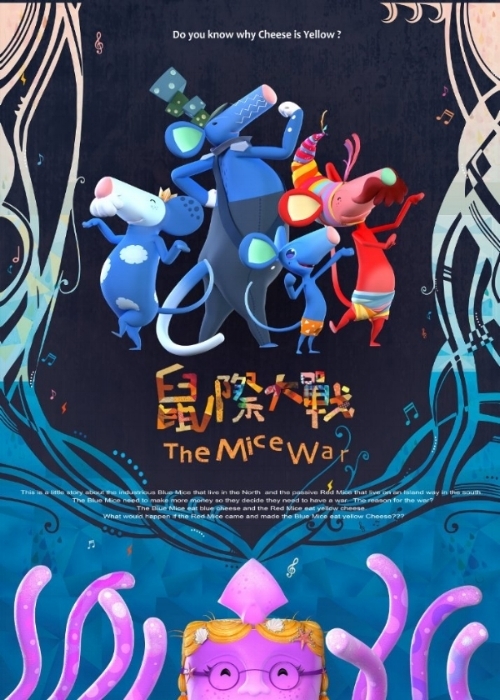 The film follows two different types of mice who are in war over preferring different types of cheese. A CITY OF RUST also premiered this year at the Animated Arizona Film Festival. The short slow motion animation is about a city that comes to life at night in a junkyard. The film was directed and written by Omar el Araby. ETHEL & ERNEST, which won best feature film prize at the International Animated Film Festival held at Meknès in Morocco and premiered at the London Film Festival, is a film that follows a couple's life from their first meeting to their deaths. The Film, which features only hand drawn animation, has received critical acclaim.